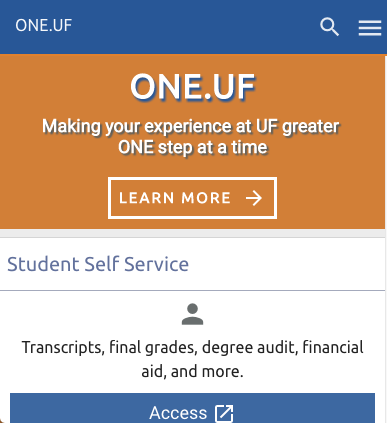 The University of Florida Center for Autism and Related Disabilities is hosting a FREE online presentation this Friday (10/31) from 12-1pm about anxiety and Autism Spectrum Disorder. Dr. Isaac George Isaac, an Assistant Professor in Child and Adolescent Psychiatry at the University of Florida, will present “Manifestations and Treatment of Anxiety in Individuals with ASD”. Click Here to Register: https://docs.google.com/spreadsheet/viewform?formkey=dHpRalhNWDN2OHN0bGIxbFlwSkdQWlE6MA#gid=0. This presentation is FREE and ONLINE only via Adobe Connect. You will receive a link and instructions on how to join in once you register. This Lunch Chat is part of an ONLINE training series held from 12-1pm on various dates throughout the year that address relevant topics in an informal and interactive manner. We hope you can join us at one, some, or all! ECC’s next workshop will be Wednesday, November 5th at 7PM in the Norman Terrace Room! We hope to see all Edugators there! As always there will be snacks and free giveaways for all that attend. Don’t forget to stop by the Student Resource Center located in the Norman Student Services office! We have all the supplies you need to work on lesson plans and projects! Are you looking for an interesting elective and a chance to study in Paris, France? Dr. Sharon Austin will teach an African Americans in Paris course (POS 4956 or AFA 4905) for 2-3 credits in Paris, France during spring break 2015. Students can earn 2 credits for the class if they do the assigned readings, short papers, and attend the class sessions and events in Paris. 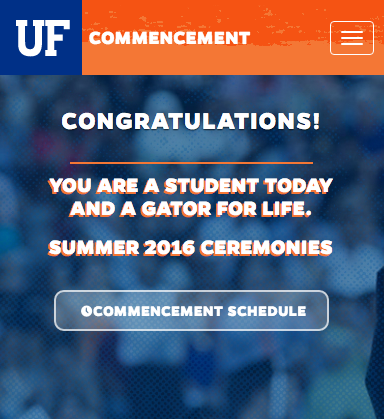 They can earn 3 credits if they do these things and write an additional 8-12 page paper after we return to UF. Before we leave for Paris, the class will have to watch online lectures and documentaries and write four 3-4 page papers. In Paris, we will visit a number of historic sites of significance to African Americans such as the Louvre, Eiffel Tower, the Versailles Palace, the Montmartre district, the Latin Quarter, and others. Students will also have a free day so that they can visit additional sites in Paris on their own or take a day trip to a nearby city. The $2300 cost for undergraduates doesn’t include airfare, but does include lodging, some meals, transportation in Paris, and tickets to all of the site visits. Students can use their financial aid to pay for some or all of the costs, but will have to contact someone in the financial aid office about it. Please contact Dr. Sharon Austin at polssdw@ufl.edu if you would like to receive additional information or look at: http://afam.clas.ufl.edu/2013/07/30/african-americans-in-paris-course-to-be-offered-during-spring-break-2014/. The Department of Food Science and Human Nutrition is recruiting 120 freshmen, sophomores, and/or juniors to take a peer mentoring course in the spring (1 credit) and then work with us on a research project the following year (2015-2016) to help freshmen adopt healthful habits as they integrate onto campus. We are also offering a new 3 credit course that will only be available to 35 sophomores. In this course, students will help college freshman and high school students prevent obesity through a number of approaches including developing interactive, social marketing environmental intervention that will be implemented at UF during the fall 2015 semester. Here is a short video regarding the opportunity http://goo.gl/1HIxNp. See flyer for additional details about this 3 credit, Social Marketing and Environmental Interventions course offered Tues (7th & 8th)/Thurs (7th per). Enrollment for both courses will be departmentally controlled. If interested, please contact Dr. Anne Mathews, Anne.mathews@ufl.edu or Dr. Melissa Vilaro, mgraveley@phhp.ufl.edu. Join us for a conversation with Matthew Schmidt, faculty member at the University of Hawaii. Dr. Schmidt will discuss the innovative distance supervision system developed in conjunction with SESPECS faculty for Project RITE. Please see flyer for additional details. RSVP to Lynette Beacher, lynetter@coe.ufl.edu by Monday, November 3rd. Please see flyer for details. Space is limited to 35 individuals. RSVP to Rosie Connolly, rconnolly@coe.ufl.edu by Wednesday, November 12th. Williston High School is currently looking for an 11th Grade English teacher. If you are interested in this position, please apply at http://www.levy.k12.fl.us/​. Leadership Development Opportunity: Want to increase your group’s impact? Apply by November 3rd for the UF Servant Leader Institute! The Servant Leadership Institute is a day long experience, sponsored by the UF Center for Leadership and Service, for student groups who are interested in increasing the breadth and depth of their impact on the UF campus and in the greater-Gainesville Community. 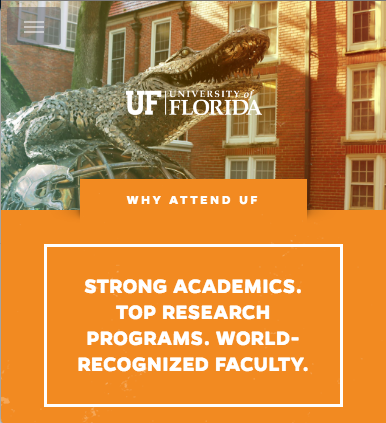 As a participant in the Servant Leader Institute, you will have the opportunity to network, problem solve,and develop skills and knowledge related to servant leadership, coalition building, and service-learning with other student leaders, Gainesville community members, and UF faculty and staff. For event details and application to be a participant, please visit:http://bit.ly/UFServantLeader. Come out to the Center for Leadership and Service’s final info session on Tuesday, November 4th from 5:30-7pm in the Ocora at Pugh Hall. It will be an opportunity to find out how to apply and hear from last year’s project winners, http://www.leadershipandservice.ufl.edu/programs/projects_for_peace/. Florida Alternative Breaks is a student-led service trip program, which takes students to many different locations across the U.S. and abroad to experience new communities, participate in service projects, and learn about a variety of different issue areas. A Learning Partner is an integral member of the Alternative Breaks learning experience. Learning Partners are faculty, staff, and graduate students who participate as a team member of a Florida Alternative Breaks trip. While Learning Partners are not responsible for the general planning of the trip, they do serve in a more hands-on role through expertise in the issue area of the trip or geographic location as well as guiding students during their reflection and personal development. Those selected to be Learning Partners are required to attend both FAB-wide events and trip-specific events, in addition to paying a small portion of the trip cost. For more information, please contact FAB’s Adviser, Angela Garcia, at angelag@leadershipandservice.ufl.edu, or apply here! The Los Angeles Unified School District is seeking eligible teachers in most credentialed areas to fill current vacancies and for the 2015-2016 school year. The District has a critical shortage of special education teachers. Interested candidates may apply online at www.teachinla.com. District representatives will be conducting interviews in the Orlando area during the week of 11/17/14 through 11/22/14. Please see flyer for additional details. Interested teachers, please send passport, teaching license, diploma copies, resume, recent photos and soonest starting date and skype name to Phoenix Group Asia, attention to Sandra King. Positions close on November 30, 2014. Contract ends on July 10, 2015. Please email questions to phoenixgroupasia@gmail.com. Further information http://www.phoenixgroup.asia/en_index.html. One Heart Source is currently accepting applications for our 2015 Volunteer Programs in South Africa. In 2015, we are offering a variety of 2 and 4-week programs in Cape Town, South Africa! Programs Offered:April 20 – November 6, 2015. As an OHS Volunteer, you will: Integrate yourself into and work closely with members of the local community to create positive social uplift; Teach primary school students through a mentorship program focused on building strong Math and English foundations, while empowering students; Exchange ideas and culture with people from around the world; Lead after-school programs in non-traditional subjects like dance, debate, art, and sports; Work with a small, dynamic team of international university and graduate students; Develop yourself intellectually through leadership, service, and dialogue. We at One Heart Source believe in creating lasting social change through education and human connection. We encourage you to take a step towards providing a more socially just future for some of the most marginalized communities in the world. 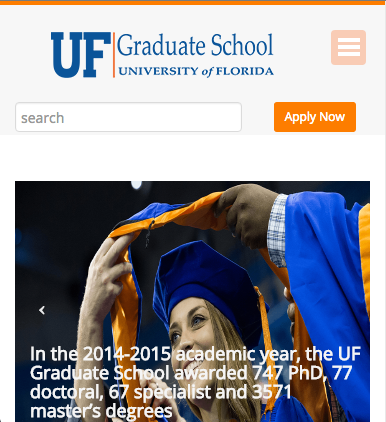 Both Graduate and Undergraduate students are encouraged to APPLY NOW FOR OUR 2015 PROGRAMS! Next Application Deadline: November 21st . For more information and to apply visit: www.oneheartsource.org/volunteer/apply/. Please contact eric@oneheartsource.org with any questions! University of Florida faculty member looking for part time services in tutoring and child care for three children. Child Demographics: 14 year old girl in 9th grade – help with organization, time management, and timeliness of turning in work; 11 year old girl in 6th grade – organization, time management, timeliness, reading and writing tutoring. Has ADHD; 5 year old boy in kindergarten – general child care. The middle child is the one who needs the principal tutoring services but there would be need for supervision of all three. The main hours I am looking for would be afternoons Monday – Thursday 3:30 pm – 6:30 pm roughly but these are negotiable. There would also be opportunities for some nights child care. We live in the Brooksfield development across from Fort Clarke Middle School, just west of I-75. Please contact Glen R. Finney, MD at finney@neurology.ufl.edu or 352-318-9604. My husband and I are looking for the right person to stay with our children, 2 boys ages 11 and 10 (6th grade and 4th grade), to assist with tutoring and monitoring of their virtual school experience at our home on Tuesdays/Wednesdays and Fridays; approximately 7 hours a day. I work but will be home with them on Mondays and Thursdays. I will need assistance on the other days as I will map out what is to be done and will need an individual to ensure that the children are on target with their studies and their homework for the days mentioned. If interested, please call Julie Shay, 352-231-3743, to set up a phone interview for this position or email your interest to julieshay@gmail.com. We are needing to fill quickly and will need someone through May/June 2015.